Can We Admit Reverse-Flash Has A Cooler Costume Than The Flash? After going on hiatus for a bit, the CW is gearing up to release a brand new episode of The Flash. 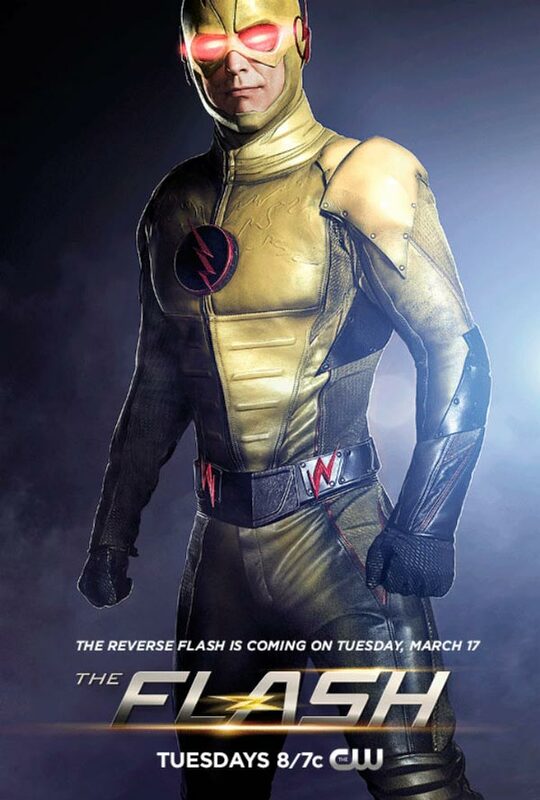 Ahead of the premiere of “Out of Time,” the drama has released a brand new poster giving us an up-close-and-personal look at the Reverse-Flash’s costume. Can we just say that Tom Cavanaugh really knows how to rock that suit? In fact, he’s seriously rocking that suit way better than Flash rocks his signature red look. I know, those are fighting words, but seriously, maybe it’s just the color of the suit in its high definition glory, or the fact that the details and design are way more noticeable thanks to that yellow-gold color, whereas the darker red of Barry’s suit hides some of the detail. Perhaps it’s just that Tom Cavanaugh is physically a little more impressive than the less-brawny Grant Gustin. Quite possibly, it’s just that we are so used to seeing Dr. Harrison Wells as a scientist with glasses, making the change-up a pronounced but welcome addition. Also, I really dig the glowing eyes. Reverse-Flash has been popping up in The Flash since before the series went on winter hiatus, but at first the identity of Barry Allen’s arch-enemy was a complete mystery. As the story has unfolded this winter, Tom Cavanaugh has revealed to publications that Wells is, indeed, the Reverse-Flash. While we’ve been given the facts, our time has still been mostly spent with Wells in his regular everyday gear, although recent episodes have given us a better glimpse at Wells in costume, including one memorable conversation with General Eiling. Tuesday’s episode should be a big one for Dr. Harrison Wells, as well as the rest of the team. Spartacus actor Liam McIntyre is set to appear in the new episode as the Weather Wizard, taking on Joe, who just so happened to kill his brother. More importantly, however, Cisco will be dealing with his own sub-plot concerning the Reverse-Flash. Here’s the official CW description of that little bit of the story. Meanwhile, Cisco (Carlos Valdes) looks into the night the team captured the Reverse Flash and realizes something doesn’t add up and begins to wonder whether Joe was right about Dr. Wells (Tom Cavanagh). Things are heating up on the series, and time travel seems to be on the precipice of becoming a prominent part of The Flash. We’ll find out soon enough. 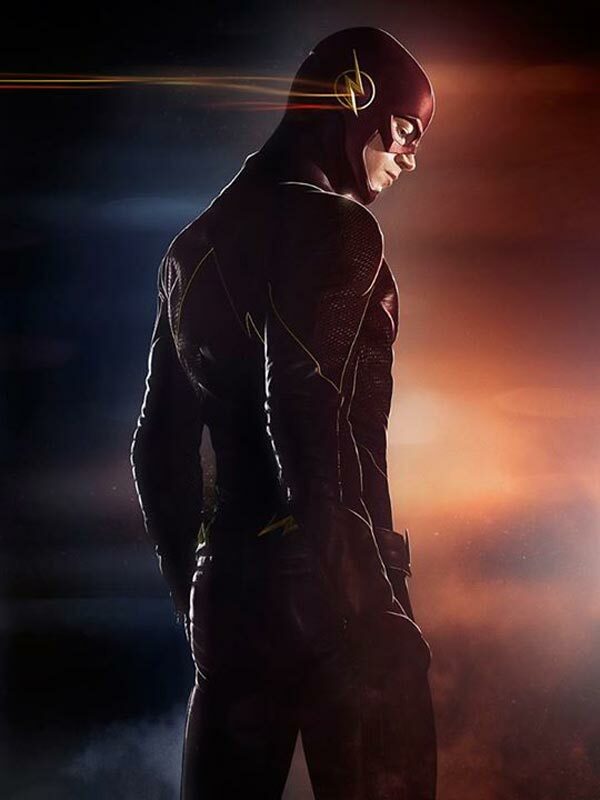 The CW’s The Flash returns to the schedule on Tuesday, March 17 at 8 p.m. ET.